Some of the delegates at the SANCO provincial conference. The South African National Civic Organisation (SANCO) Mpumalanga Province convened its 7th Elective Provincial Conference of SANCO in Mpumalanga on the 2nd of June 2017 at Badplaas Aventura ,Manzana (formerly Badplaas). Mpumalanga’s South African National Civic Organisation (SANCO), wants African National Congress deputy president, Cyril Ramaphosa to succeed current incumbent, Jacob Zuma, as the governing party’s next president. The resolution was taken at the civic organisation’s 7th elective provincial conference held at Manzana, where more than 600 from the province’s fouir districts of Bohlabelo, Ehlanzeni, Gert Sibande and Nkangala, converged at Manzana. 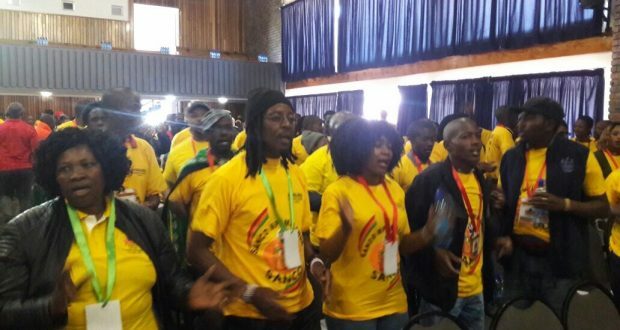 “The 7th Provincial Conference reaffirmed and supported the decision of the SANCO National Executive Committee (NEC) which pronounced on Comrade Cyril Ramaphosa as our preferred candidate for the Presidency of the African National Congress at the ANC National Conference in December 2017,” said SANCO provincial secretary, Mike Soko. The organisation acknowledged the efforts by ANC provincial chairperson, David Mabuza to rebuild the unity of the ANC and to recincile with the ANC’s Alliance partners, bur criticised what it described as “personalised unity”. “Conference was concerned that the unity is personalised and not institutionalised. Furthermore, the unity of the alliance should cascaded to all regions and branches of the Alliance. 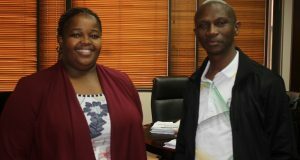 SANCO called upon the ANC as the leader of the alliance to ensure that all alliance partners are treated with equal respect especially to stop threating SANCO like a junior ally,” said Soko in a statement. 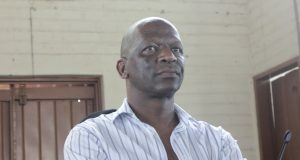 The organisation also criticised the goverening ANC”s tendency to disrupt the activities of the Alliance structures and victimisation of leaders and members of these structures. 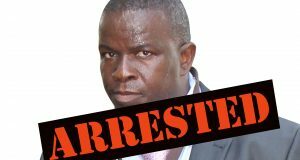 “There has been attempts to sabotage SANCO programmes, victimisation of SANCO leaders and members and some have lost their jobs or political deployment because of their commitment to SANCO. Also present were the organisation’s alliance partners, the South African Communist Party, Congress of South African Trade Unions and the ANC, as well as SANCO’s national leaders. The organisation’s national chairperson, David Mkhwanazi, delivered a keynote address. He said that the centre, which is the ANC, was no longer holding. “In every organisation or country, the centre must hold. The Roman Catholic Church exists all over the world for centuries because their centre is holding. The Zion Christian Church is very big in Africa because the centre is holding. Now in South Africa is that the Centre has collapsed. It is time that as SANCO we ensure that the centre holds in South Africa and the Alliance. “Our declaration of support for Cyril Ramaphosa as a preferred candidate for ANC president was a product of intense and robust reflection but at the end we all agreed that we need contintuity and progressive change,” said Mkhwanazi. 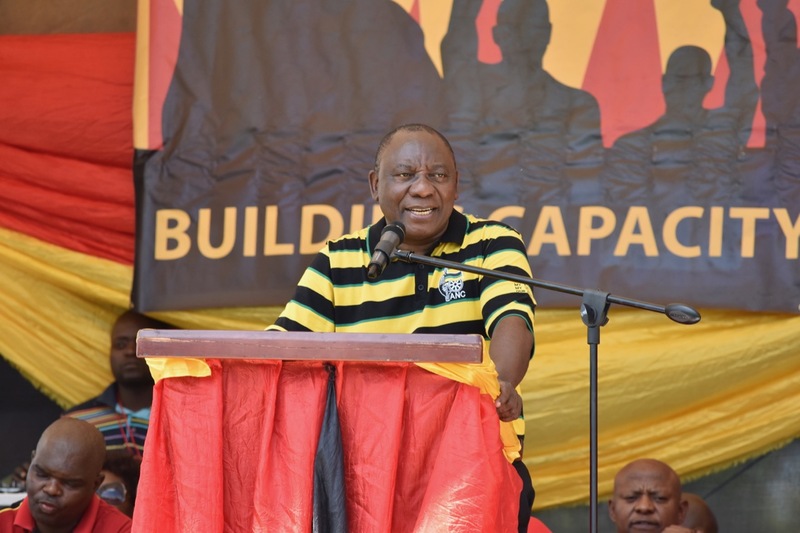 SANCO is the second member of the ANC-led Alliance, after COSATU, to publicly declare support for Ramaphosa as the next president of the ANC. The SACP has not yet declared its preferences but has called for Zuma to step down, while COSATU has banned the ANC president from addressing its activities. The so-called Premier League, on the other hand also pronounced its support for Zuma’s ex-wife, Nkosazana Dlamini Zuma as their preferred candidate for ANC president. The Premier League is believed to be composed of premiers of Mpumalanga, Free State and North West provinces, David Mabuza, Ace Magashule and Supra Mahumapelo. All premier league aligned structures, ANC Youth League, ANC Women’s League and Mkhonto Wesizwe Military Veterans Association (MKMVA) have pronounced Mpumalanga premier, David Mabuza as their preferred candidate for deputy president and Ace Magashule for secretary-general positions respectively.